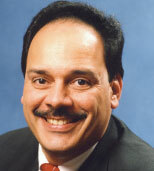 C. Daniel Negron is Vice President of TT Club, 201-557-7320. The start of the new year is the time to make resolutions, and risk managers should resolve to review their operations to ensure that risk and insurance programs are in order. Are you planning to offer new services? If so, consider your insurance obligations before the transaction closes. In one recent case, an operator negotiated with his customer to warehouse high-value electronics in the Dominican Republic. He signed an operation agreement that contained an indemnification running to his customer and an insurance provision requiring a significant limit to cover the full value of the goods in a catastrophic loss.